Linda’s introduction to ‘fiber arts’ began at a young age and on a small scale when she started hand stitching Barbie doll clothing and knitting and crocheting rugs to adorn Barbie’s home. The years of sewing, embroidery, cross-stitch, quilting and felting, led to a desire to dye and weave her own fabrics. After a forty-year hiatus from ceramics, Byron was itching to get his hands dirty again, so he recently joined CASI Ceramics in Newhall. Throwing pottery is like riding a bicycle and he has been enjoying it this time around as a hobby. Joyce holds a bachelor of arts degree from SCUDH and paints with her friends every week. 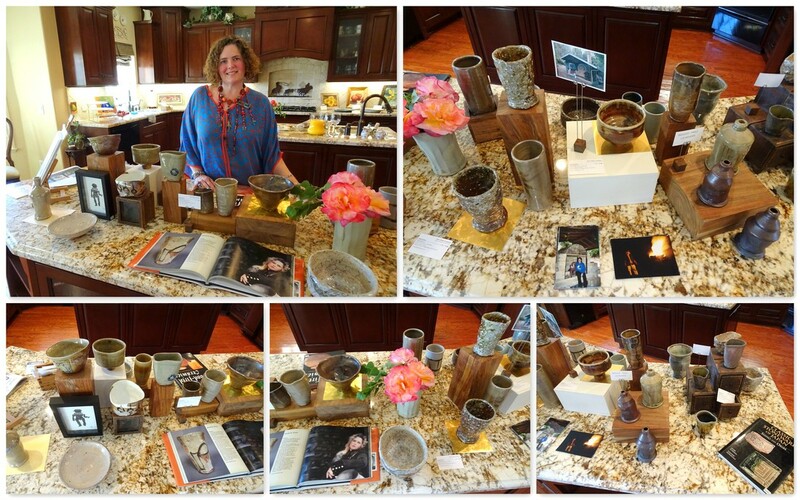 She also takes ceramics classes at CASI Ceramics with her husband. Joyce was winner of the “Friends of Acton Park” logo contest. She has been illustrator/editor for The Cultural Dimension newsletter for AADAC which she co-designed with Arts Council president, Sandy Madsen. Joyce paints each week with LAAW, Ladies of Acton, Art and Wine. 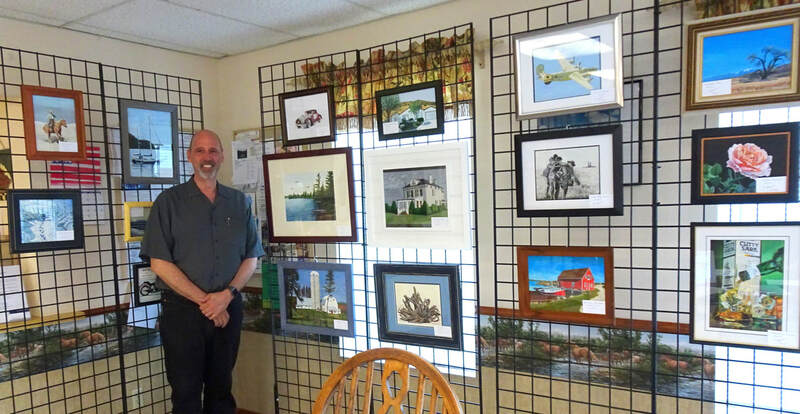 Ron has been an Acton resident since 1989 and is known for his handcrafted hardwood baskets. 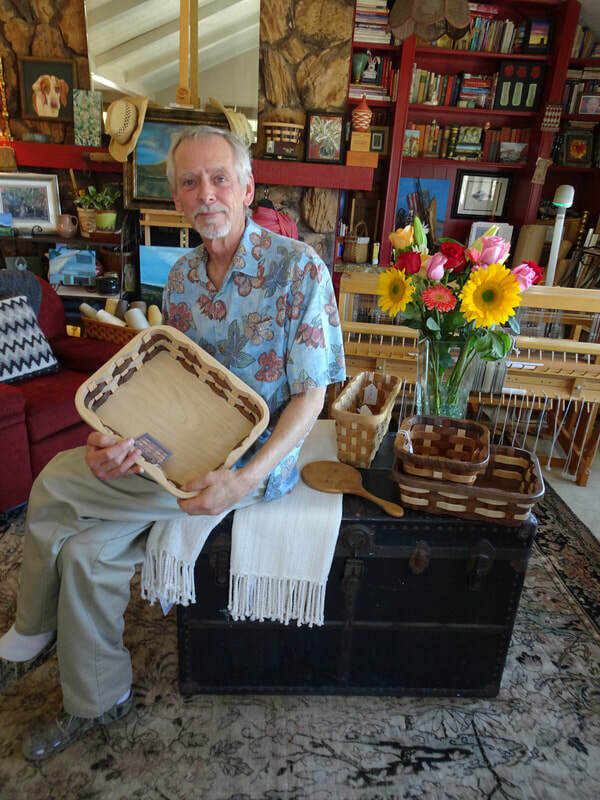 My scroll saw basketry evolved from a lifetime of experience in wood crafting, furniture making and cabinetry. These baskets are not woven, but sawn to appear as if they were woven. Only wood, glue and clear lacquer are used, without stains or colors. 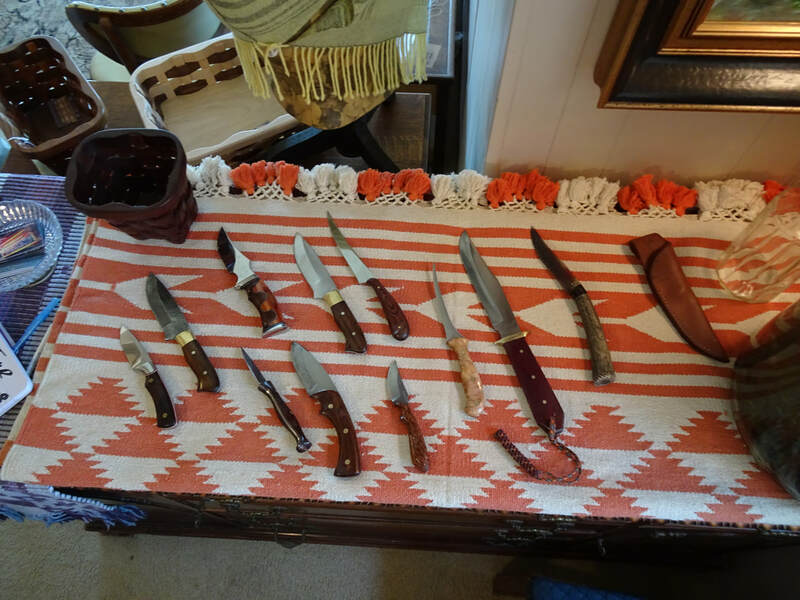 Recently Ron started knife making, under the mentoring of master knife maker and fellow Acton resident, Bill Herndon. The artistry and complexity of building knives from scratch fascinated me, while the technical aspects were daunting. ​Studio 213-220-2723 (by appointment only). 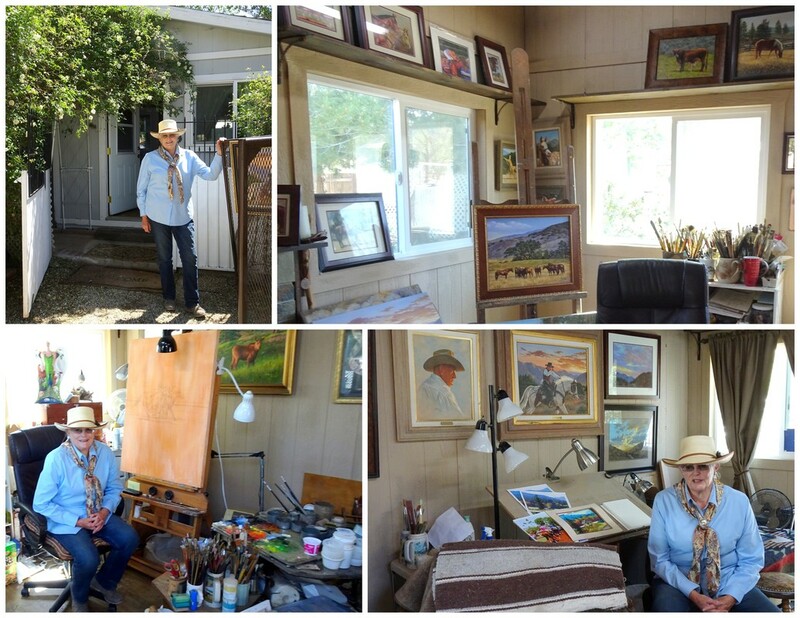 ​Pat shared her home studio space with Rich Gallego, Susan Taylor Tredway and Sky Yoshimoto. 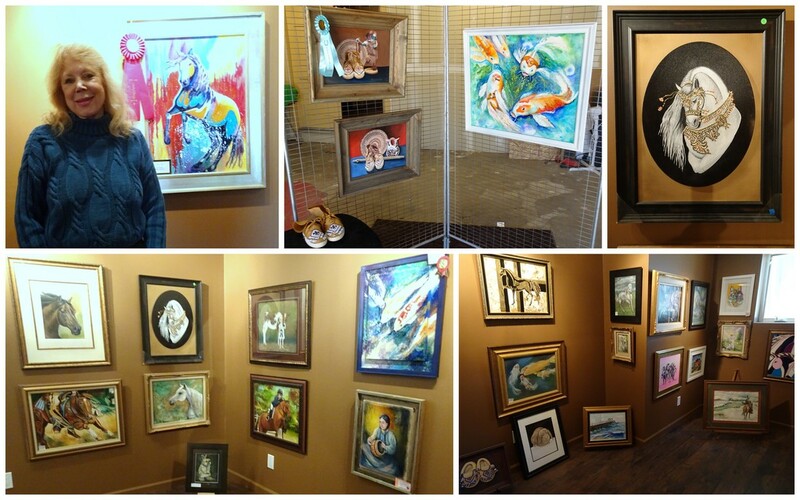 ​Susan has developed a diverse artistic background in oil, acrylic, pastel, watercolor and china painting. 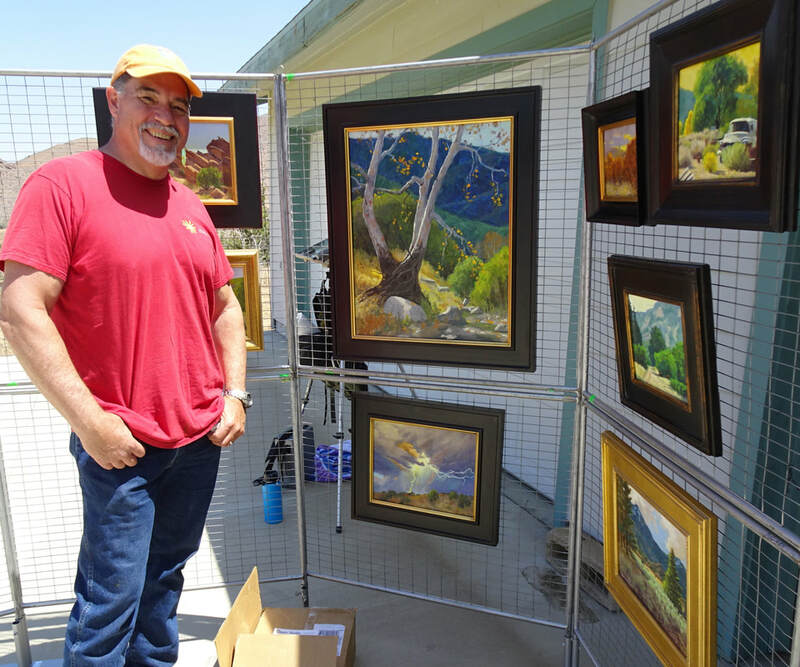 She opened the doors to her home-based studio in Newhall upon her retirement. 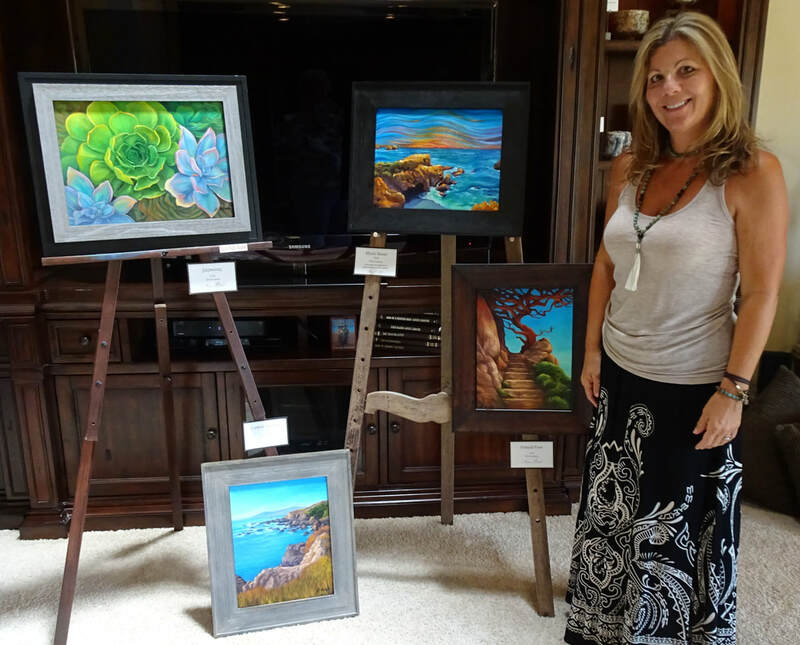 She teaches children and adults in acrylic, oils and water. Sky resides in Agua Dulce and is a student of Susan Taylor-Tredway. 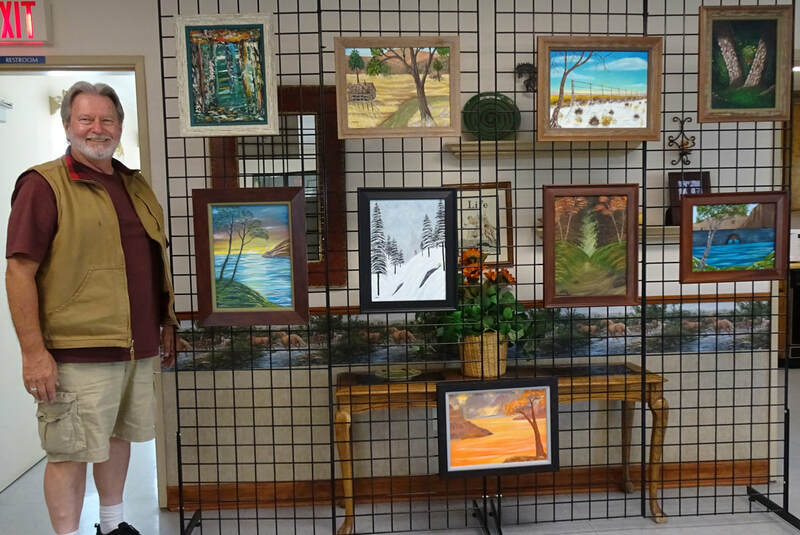 She loves painting the beautiful surroundings and scenes from places she has visited. ​Toni captures the elusive "likeness" of the individual using traditional techniques in oils and acrylics learned at the Mendocino Art Center, Art Center College of Design and in workshops with noted artists. 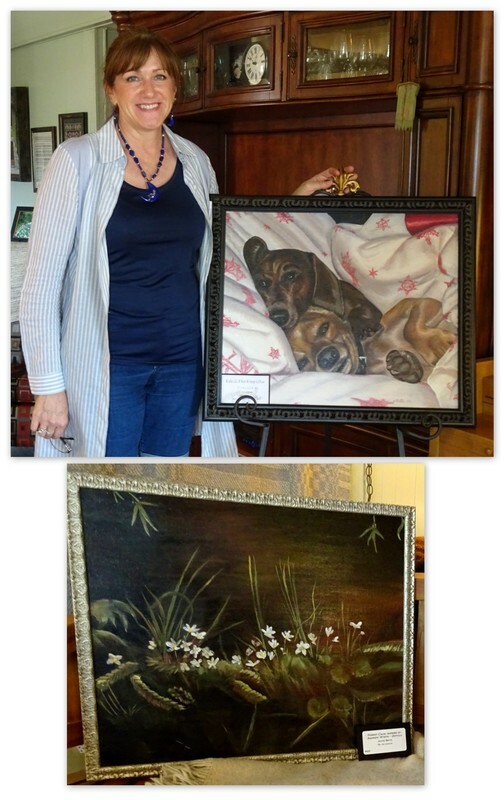 Her paintings have won many awards, magazine covers, and commissions from the city of Los Angeles and Del Mar Racetrack, as well as breed champions and beloved pets. Most importantly they have touched the lives of people who love their animals and have also made them my friends. You can find Toni at www.facebook.com/tphaighart. As a fifth-generation cowboy, Jay T. has been blessed with a strong family history rooted in the Old West and has had successful careers in the film industry as a stunt man, special effects coordinator and craftsman, and horse trainer. 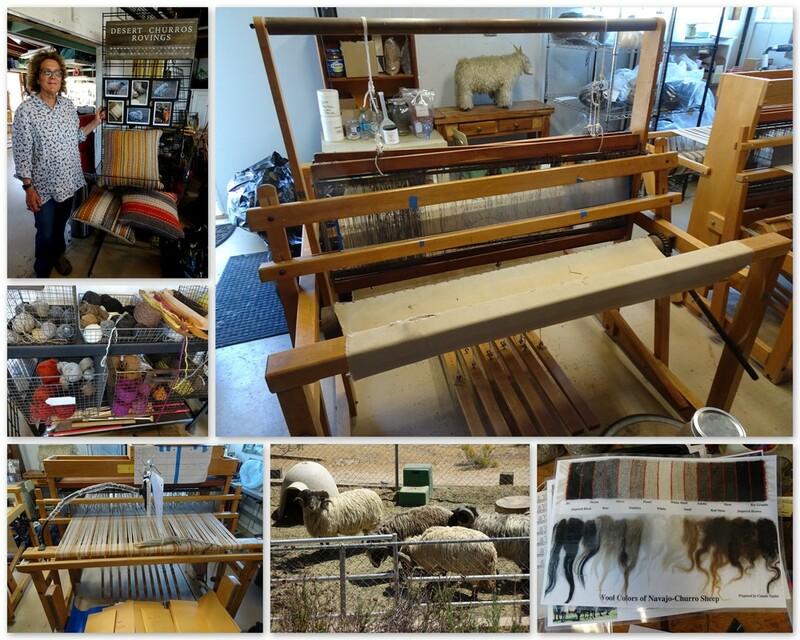 Jay T. does artisan leather crafting, woodworking, and most successfully, painting. 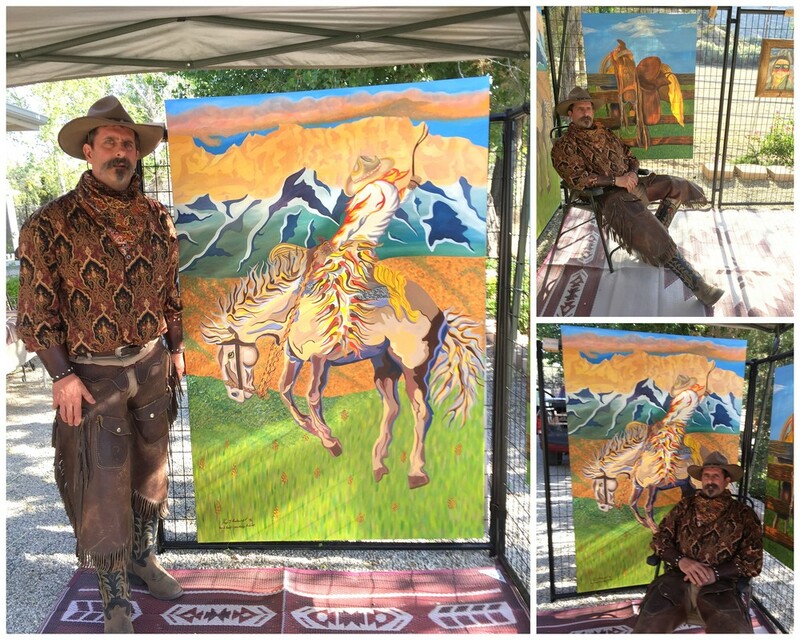 Jay T. is a 6-year resident of Acton and has a ranch in Montana, and his work is featured in galleries in Jackson Hole Wyoming and Park City Utah. Contact Jay T. at www.realreelcowbowartist.com. Ernie became interested in art at age 17. He attended Sheridan College of Applied Arts in Canada. He paints primarily in acrylics, but enjoys experimenting with different mediums. He mainly paints landscapes, wildlife and still life. Ernest moved from Canada in 2004 and has been a resident of Acton for 13 years. Ernie shared the exhibit space at Stallion Meadows Clubhouse with Steve Martell and Christopher Darga. Since childhood, Steve has always had an interest in art. In late 2011, he finally decided to fulfill his desire of painting. Influences include Bob Ross, Jerry Yamell, Gary Jenkins and Ruth Mayer. In 2014 Steve moved to his current residence in Agua Dulce. Steve works in the Scuba Diving Industry as a Dive Master aboard the Explorer Dive Boat out of Ventura Harbor. Chris worked for many years as a sculptor but began painting seriously after receiving a gift of instructional DVDs from his wife. He has been working with multiple layers of paint and glaze for more dimension in this work. 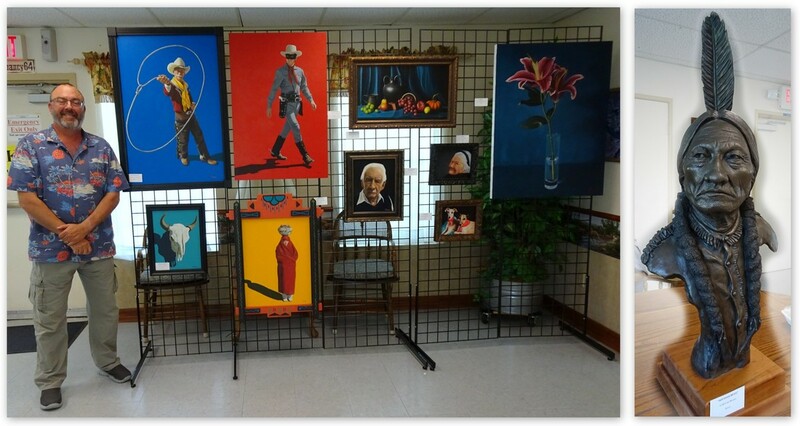 From working for many years as a sculptor, creating busts of historical figures such as Sitting Bull, Geronimo and Abraham Lincoln, painting seemed to come naturally. Studying three dimensional form in clay helped me to transfer those observations of light and shadow into painting. My major challenge of painting was color and values. I immersed myself in online courses and readings and slowly but surely got a little better every time. Katherine has lived in Acton for 15 years and enjoys raising and breeding Navajo Churro sheep. She raises the sheep for their wool and also to help preserve this breed of sheep that the Navajo have used for centuries for their sustenance and their beautifully woven blankets, rugs and clothing. The Navajo Churro Sheep come in many natural colors – black, browns, grays, faun colors and white. I’ve enjoyed learning how to spin and weave their wool and dyeing the wool with natural plant dyes. For more information go to www.etsy.com/shop/Desertchurrosrovings. Kathe painted a lot when she was young, loved watercolors and photography. When the season of motherhood passed she found a most talented teacher, Silvina Day, who taught and inspired her to learn oils. She believes there is a story in all art and especially loves the nature of God. She finds that He speaks to her when she is focusing on His amazing creations. Kathe shared her home with Annie Brink and Melanie Knox. Melanie is inspired by Japanese ceramics, notably pieces unearthed from the Momoyama and Edo periods. She uses the technique of woodfiring, allowing the fire, hour after hour, to lay down natural glazes effected by the extreme heat and melt of wood ash. The wood, mostly Oak, Pine and Redwood is collected, split and seasoned by time. The glazes are made from scratch, and like good bread, need to be made with the right ingredients. Melanie has been making pots and slowly adding brushwork decoration to the surface, this in turn led to drawing on paper. Melanie also exhibits her drawings and sketches. As long as she can remember Annie has always had a sketchpad, paintbrush or computer mouse in her hand; drawing, painting and creating in some way. Two months after graduating high school she started her career as a Graphic Artist at NBC Studios in Burbank working with some of the most talented and creative people in the industry. After almost 24 years as a graphic artist for the studios, that chapter has come to an end. Annie now focuses on oil painting full time and is loving it! 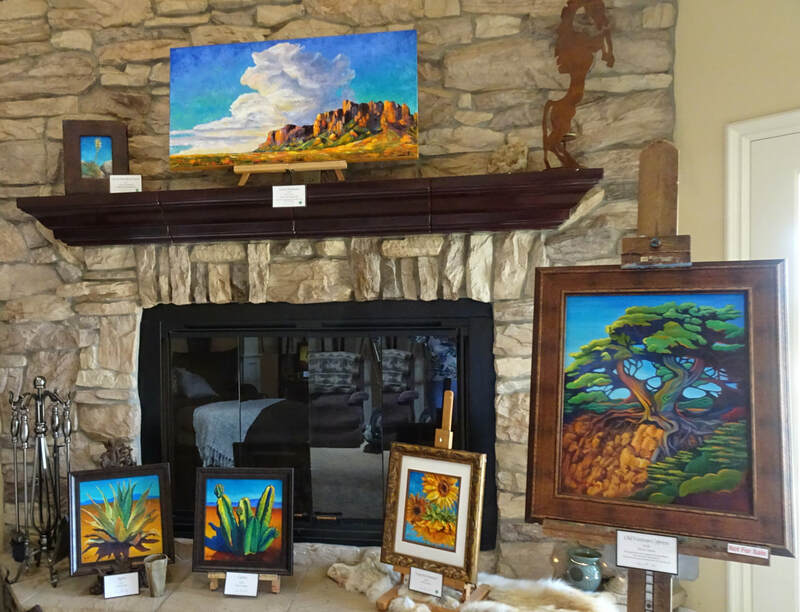 Over the past year she has exhibited over 30 paintings in a solo show at the local library sponsored by the Acton-Agua Dulce Arts Council and has participated in many community art events. Follow Annie on Instagram @anniebeeegood; Facebook @ Annie B. Art Studio or www.annierbrink.wix.com/anniebart.